In this suspense novel, an 8.8 earthquake hits Southern California, forcing law enforcement agencies to act outside the law in order to protect and serve. Deputy Kevin Schmidt is working as an undercover cop at Dodgers stadium when the devastating earthquake hits. Fighting his way through the chaos, he makes it to police headquarters in Los Angeles. There, he’s ordered by Deputy Chief Jenkins to leave the earthquake behind and find one man— Detective Gavin Shaw—and bring him back to headquarters, no questions asked. As Schmidt and his five-member team look for Shaw, they are thrust into the grisly consequences of the quake as looters, gangs, and other malcontents take to the streets, forcing the officers to make difficult choices. Before long, they find other agencies also in search of the elusive Shaw. Why is Shaw so important? No one knows (readers learn the answer later in the story), but the agencies must work together to complete their mission, even as Southern California struggles to restore law and order to an area that may take years to recover. The author appears to know his subject matter well; details offered about Southern California, the police force and other agencies have an authentic feel. And the main character, “Schmitty,” is likeable, even amusing, as when he describes his undercover cop dress style as “midway between…Early Parolee and Bakery Delivery Guy.” That said, however, more focus on Schmidt and less on numerous minor characters, who continually argue over turf and swoop in to save each other during an over-abundance of shoot-outs, would help the story’s flow. Fuller character development would also enhance the narrative. 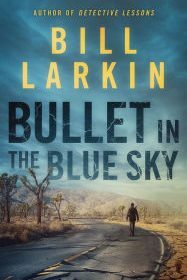 Still, Larkin’s linear writing style, interesting premise, and satisfying conclusion will appeal to detail-oriented readers intrigued by a worst-case scenario threatening the nation. With buckled roads, collapsed buildings, injured people, and no way to reach others, this is an eye-opening cautionary tale.